Kody Kapow - 3 Lessons Learned - Ariella Lehrer, Ph.D. 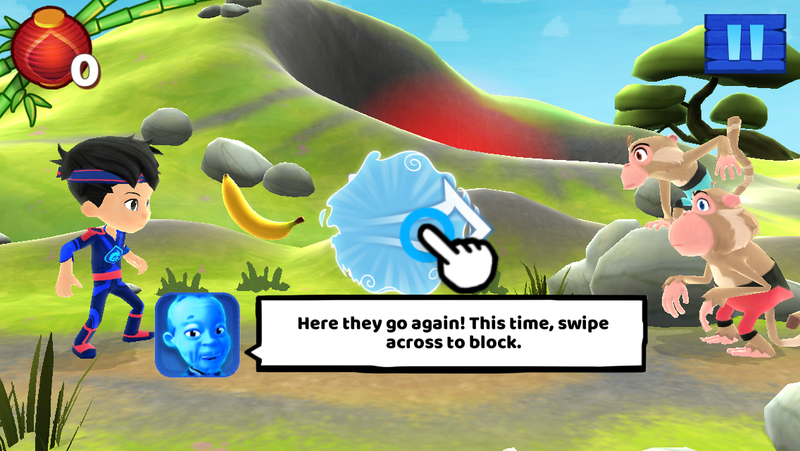 In my last blog, I wrote about Legacy’s design process and inspirations for creating a new cooperative mobile game for kids ages 4-7, based on the animated series, Kody Kapow, on the Sprout daily preschool programming block on Universal Kids. Our game, Kody Kapow Village Defender, is now available for free on iOS and Android. How did the actual game development go and what did we learn? Lesson #1. Assemble the Best Team. Legacy’s model, for many years, was to acquire a license and design the basic game concept, then hand the actual development process off to partners, usually far, far away. This worked great for well-established game genres, like match-3 and hidden object, and with standardized software libraries and engines. It didn’t work as well when we attempted to create an app for which there were few if any design precedents. The model really fell apart when we added brand new technologies like computer vision to the mix. It was hard if not impossible to ship yet-to-be released hardware out of the country as well as maintain the quick iterative dev cycles needed with constantly changing software and big time zone differences. 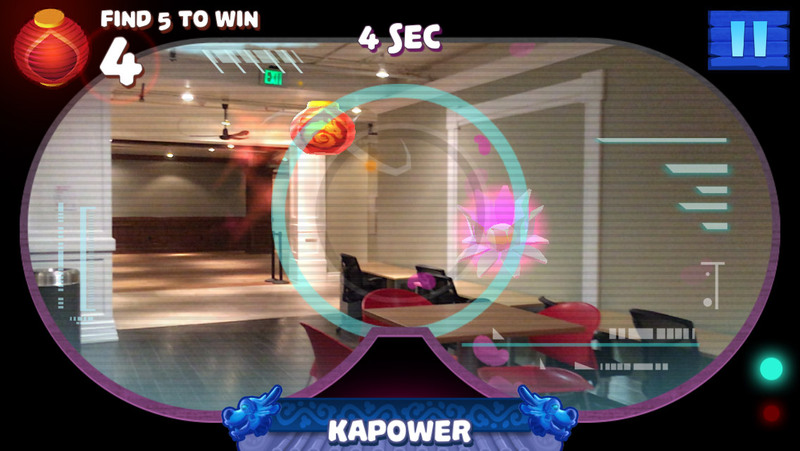 As a result, a few years ago when Legacy’s business became increasingly focused on AR and computer vision, we began to work exclusively with one of the largest independent game companies in Massachusetts, HitPoint Studios, headed by Paul Hake. The partnership has resulted in four games and counting. HitPoint’s combination of technical brilliance (they never say never), art versatility, and brilliant UI/UX has been the perfect addition to Legacy’s design and child development acumen. And possibly the most important member of the team, Andrew Duncan, functioned as the main game designer as well as producer of Kody Kapow. Virtually every good idea and magical moment in the game came from Andrew. In addition to HitPoint and Legacy, the Digital Manager on the Universal Kids side couldn’t have been better, or easier, to work with. Caroline Smigocki led the development effort for Sprout with humor, patience, and competence. We got every resource we needed, and she navigated approvals among the many stakeholders with amazing professionalism and speed. Lesson #2. Iterate, iterate, iterate. I’m still rather amazed at how much testing and subsequent revisions we did. Two of the minigames were straightforward and relied on well-known gameplay mechanics. Nonetheless, when we tested with kids in our age range, 4-7, we couldn’t find the right balance between engaging challenge and frustrating failure. So what did we do? Call the game doctor, that’s what! Mark Schlichting wrote the book, Understanding Kids, Play, and Interactive Design, which is the best book written on the subject, in my opinion. Mark agreed to consult on Kody’s overall game design, but it was his advice on the minigames specifically that turned out to be critical. He showed us how to break down the levels of difficulty into bite-size pieces, with careful scaffolding between levels. The children quickly learned how to play each minigame because of the onboarding and contextual help. As a result, there are no separate tutorials or endless voice-overs, despite the different types of gameplay introduced. One would hope that creating a great game would be enough to get featured in Google Play and iTunes, but as any game developer can tell you, it is a necessary but not sufficient ingredient. We dutifully submitted our game to both stores, and went through the seemingly endless process of making the changes requested of us…this after we thought we were done! All of Google’s suggestions were reasonable and made the game work better on Android phones, e.g., insert the camera access request so it comes up only when needed, not at the beginning of the app. Check. The Android back button must have the same functionality as the back button in the game. Check. And lots of suggestions about how the pause button should function. We believe that the feature opportunity with Apple, on the other hand, is tied to the iPhone 8 launch and ARKit. Given our previous experience with ARKit and Tango (3 apps and counting), we were able to quickly turn Mei’s mini-game into an ARKit experience. What fun, capturing 3D lanterns in your living room! So will Kody Kapow Village Defender get featured by Apple or Google? The jury is still out, but it’s looking good! Kody Kapow Village Defender is now live on Google Play and iTunes, for FREE. Try it out, with your favorite kid. Kody was a labor of love for us; we sure hope you enjoy it! This entry was posted in Ariella's Blog Posts on September 20, 2017 by Ario. Augmented Reality and Schools – What’s Next?